The premium COLD PRESSED Extra Virgin Coconut Oil with its tropical goodness - the alluring aroma and subtly sweet flavor. Rich in Medium-Chain Triglycerides (MCTs): MCTs are a unique form of fatty acids that are used by the body as a source of energy and have been shown to be beneficial in helping to maintain a healthy weight, increase stamina and promote healthy metabolism of nutrients. 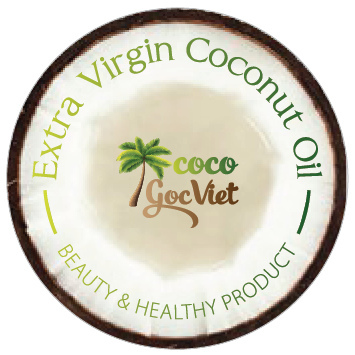 Our extra virgin coconut oil is the pure choice to suit your natural lifestyle. It can be used as a dietary supplement, for cooking, baking and as part of your natural beauty routine. NATURAL ENERGY – 62% MCT (Medium Chain Tryglicerides) Our cold pressed Virgin Coconut Oil is a natural energy source because it contains MCT’s (medium chain) “good fats” the body uses to produce energy. As a Dietary Supplement our coconut oil is a good addition to physical activity, exercise and weight loss programs. HEALTHY COOKING – Extra Virgin Coconut Oil is natural, Non GMO, PURE and UNREFINED. Extra Virgin Coconut Oil with Zero Trans or Hydrogenated Fats making it especially healthy for the Heart as well as Great for cooking. It is capable of high heat cooking because of a smoke point close to 300 degrees F.
HEALTHY SKIN & HAIR CARE – Can be used as a luxurious body moisturizer. Especially helpful for dry, rough elbows and heels. Also for your hair Makes a great all-natural, fast hair growth, restorative hair mask, adding hydration, gloss and manageability. Use as a Massaging Oil or Natural Sun Screen. Coconut oil comprises mostly saturated fat, along with some unsaturated fat and trace amounts of vitamins E and K, as well as iron. It also contains phenolic compounds, during cold pressing, the oil from the coconut meat is mechanically pressed at temperatures not exceeding 120 degrees Fahrenheit, to preserve these healthful benefits. This results in a high-quality oil. Pure cold-pressed coconut oil is also not refined, processed or deodorized.